It is actually quite comfortable to wear. The busk at the front makes it difficult to bend over forwards, but does help remind you to stand up straight! 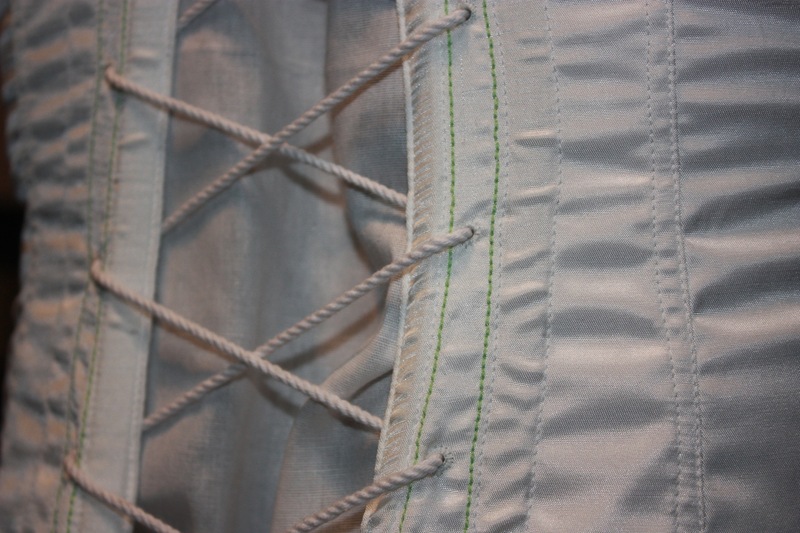 Because Regency corsets were not made to restrict the waistline, it doesnt make you feel all “squished in” when wearing it! I am so impressed! 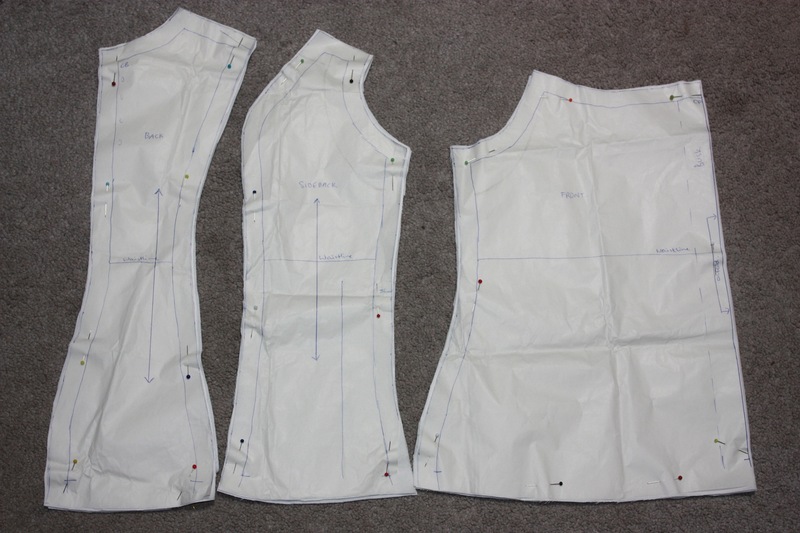 Not only that you’re able to sew all these items yourself, but that you actually find the time to do it. It looks great. I really hope you enjoy the festival. Thank you! I am looking forward to wearing them all “for real”! So excited for you…how many sleeps until you board the carriage for Canberra? Not until April. I haven’t got to counting the sleeps yet! 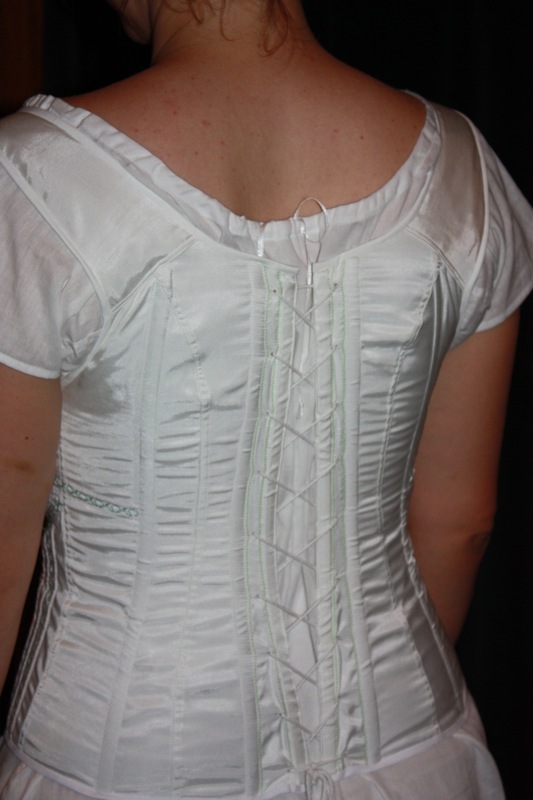 Regency corsets are designed to get all the bust as high as it will go. 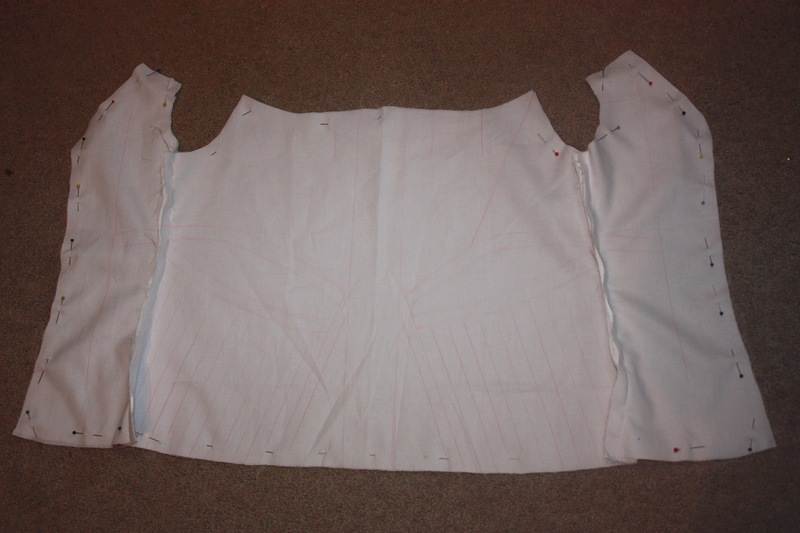 It is much harder to do when you have less to work with, but padding can work. It is really just the same concept as a padded bra. 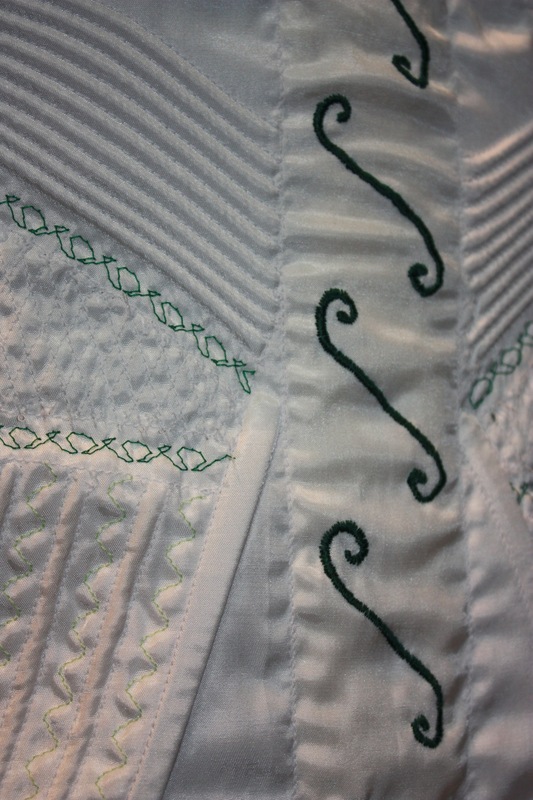 The other thing that will work in a similar way is to put in curved darts or curved gussets under the bust. 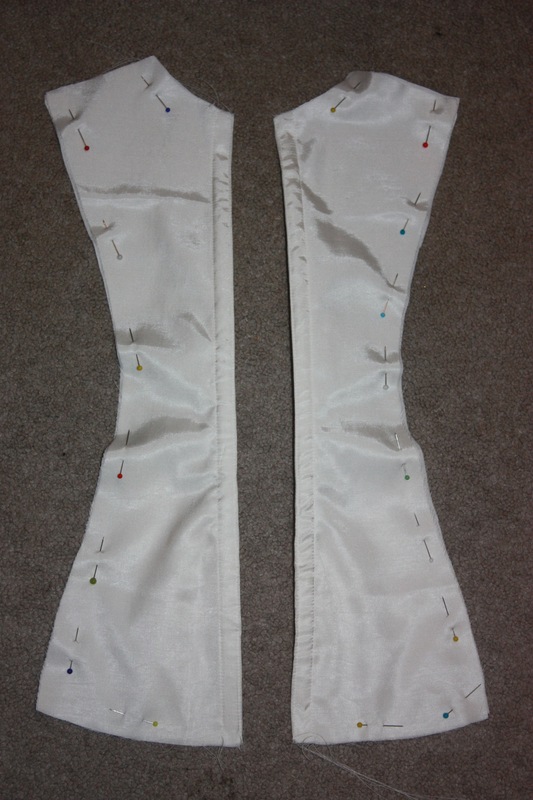 This means that the fabric/dart/gusset will curve in towards your body and out where you want the bottom of your bust to sit. The higher you put these curves, the higher your bust will sit. You might need a few mock ups to get it right though. Its always a good idea to use your hands to see where you would like them to sit. If you can get it to look right with your hands holding them in place, then the chances are you could get a garment to do the same thing.